Meet two factory-new Citation Latitudes available for private jet charter. Latitude 33 Aviation is pleased to welcome this pair of Cessna Citation Latitudes to its fleet of aircraft available for private jet charter. 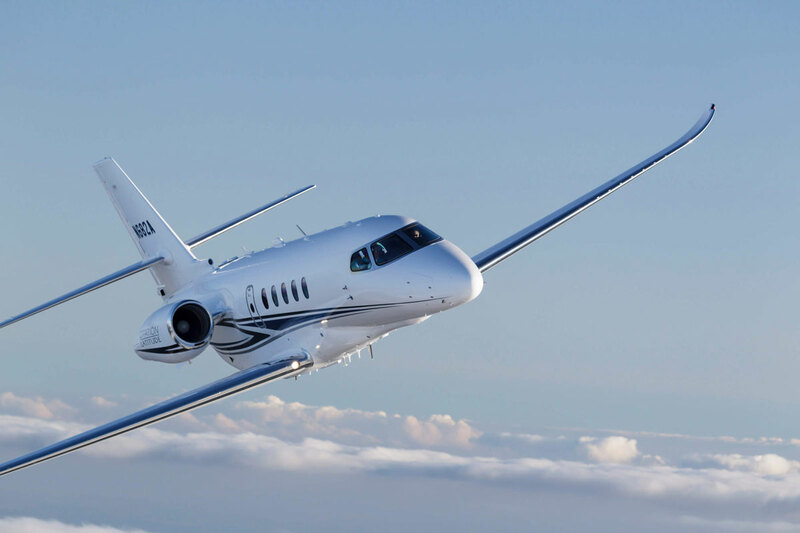 Managing one of the largest fleets of Citation aircraft, Latitude 33 has established a longstanding partnership with Textron Aviation that continues to grow as both companies expand their respective offerings. View the full press release here. 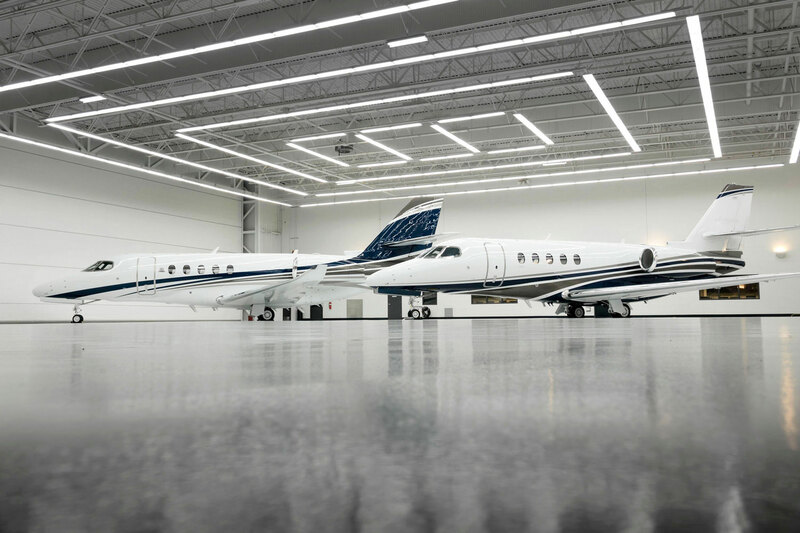 A redesigned cabin that is taller, and wider than the Sovereign, the Citation Latitude has been crafted to be the first in its class to expand comfort with a flat floor and 6-foot stand-up cabin. Removing the dropped aisle creates the flat-floor designed for comfort, and no other business jet offers this much space at a midsize price while delivering a compelling operating advantage. The spacious interior is crafted with high-speed connectivity to keep you connected and relaxed. A four-passenger range of 2,700 nautical miles connects you from Los Angeles to New York, nonstop. With one aircraft based at Van Nuys (VNY) and one based at Fresno (FAT), these factory-new Citation Latitudes are perfectly located for your next destination. Our fleet of private aircraft is conveniently based in Carlsbad, Orange County, Long Beach, Hawthorne, Van Nuys, and Fresno, California, for your next private trip. With nearly two dozen private aircraft in our private jet charter fleet and the only ARGUS Platinum rated operator in San Diego, we set the standard for private air travel. More exclusive destinations and further travels. These factory-new 2018 Cessna Citation aircraft can connect Los Angeles to New York City, Las Vegas to Honolulu, and to Europe from various locations in the U.S., with one stop. Perfect for coast-to-coast trips this aircraft will get you to your destination with low operating costs. The Citation Latitude delivers non-stop performance you can count on. Enjoy the comfort of a spacious cabin with large windows, 30 inches of legroom, a flat floor, and a six-foot-high cabin. A perfect blend of beauty, comfort, range, and power creates a pleasurable, productive business travel experience that transcends the midsize category. The large seats make for productive work areas and business meetings. The fully furnished snack bar is customized to your needs and desires. If you need any special arrangements, catered meals, or any in-flight services, Latitude 33 Aviation’s concierge charter department can happily arrange them. The Citation Latitude features an intuitive cabin technology which will help you arrive prepared and relaxed. Stay connected and be productive with the state-of-the-art cabin management system and wireless internet. The Latitude keeps you refreshed and ready to perform with a low cabin altitude of 5,950 feet while cruising at 45,000 feet. Wireless cabin management comes standard and allows access to digital media, individual interactive moving maps, and satellite radio, giving you complete control from your personal mobile device. Stay connected with the world below through high-speed connectivity, or disconnect from the demands of everyday life and enjoy the spacious cabin. The proven avionics effortlessly navigate the skies. The Citation Latitude flight deck features fully integrated autothrottles and the LinxUs on-board diagnostic system, setting a new standard in efficient operation. Pilots type-rated for the Citation Sovereign+ aircraft are already type-rated for the Citation Latitude. These Cessna Citation Latitudes are part of Latitude 33 Aviation’s large fleet of aircraft available for private jet charter. Complementing a factory-new 2018 Challenger 350, also available for private jet charter and based in the Los Angeles area, these mid and super-midsize aircraft are ready for your next private charter flight. Joined by six other pristine super-midsize aircraft available for charter, the Citation Latitude provides non-stop flights from coast to coast. The Latitudes luxurious cabin area is a perfect extension of your home or office. With a seating capacity of nine passengers, this factory-new aircraft is perfect for private jet flights for you and your favorite guests. Ready for your next travel experience in a factory-new private jet? Contact Latitude 33’s concierge charter department for arrangements. 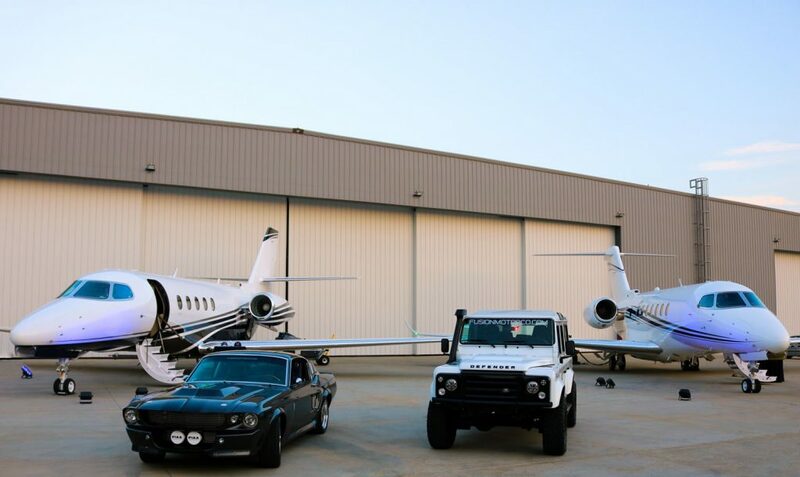 Whether you are looking for a private jet rental in San Diego, air charter services in Los Angeles, or a private jet flight in Southern California or beyond, our team will get you where you need to go. One of Latitude 33 Aviation’s new Citation Latitudes was showcased alongside Textron Aviation’s Citation Longitude at an exclusive unveiling event at Van Nuys airport. Guests were treated to an intimate opportunity to experience both revolutionary aircraft firsthand while enjoying hors d’oeuvres provided by Married to Food catering featuring Chef Marcel Cocit, unparalleled craft beer provided by Latitude 33 Brewing, and unique custom automobiles from Fusion Motor Company.